One of the travel trails we fail to explore is by water. When we travel, it’s either by land, or air, simply missing out on the views we could see on water. Upon arriving at beautiful Hoi An, the options to explore town are easily more than a handful. 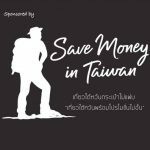 The most common is by motorbike, as always, when traveling in South East Asia. 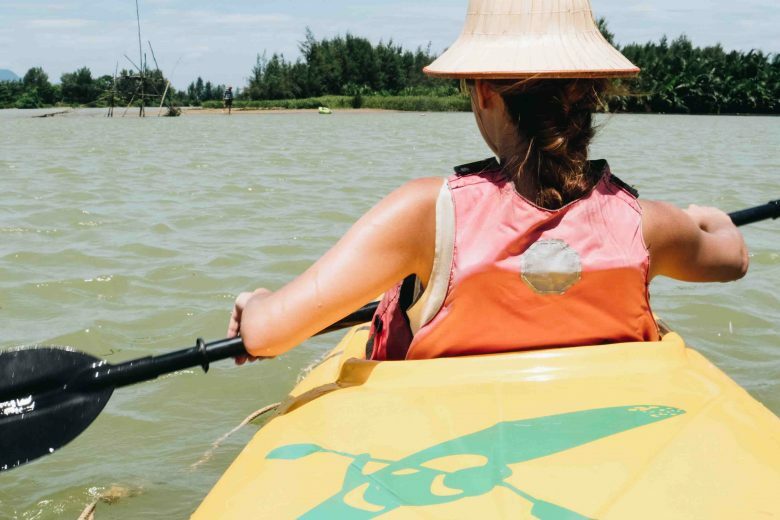 But we tried one of the most unusual – Kayaking Hoi An. Hoi An’s distinct feature is the Ancient Town that is along a canal, AND we thought there definitely must be something we can do on water, hopefully take some good shots of town in a different perspective. Good thing there is one company who offers just that. 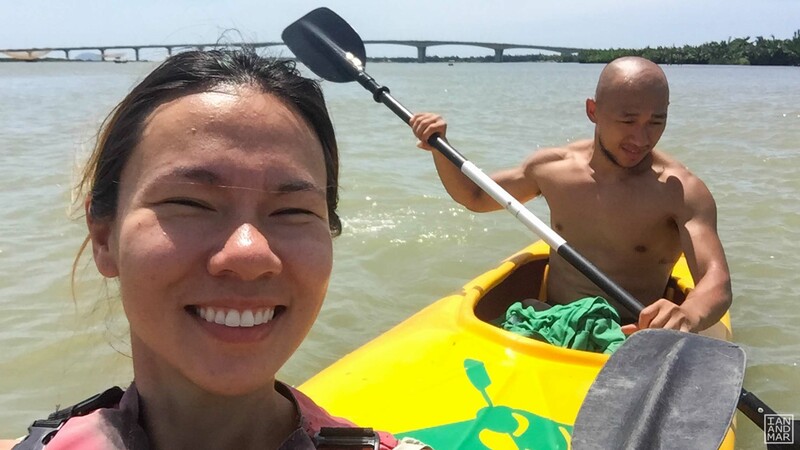 Hoi An Kayak Tours popped up when we looked for options to do in Hoi An online. The following day, Dan, our kayak guide, fetched us from our hotel at exactly 8am. 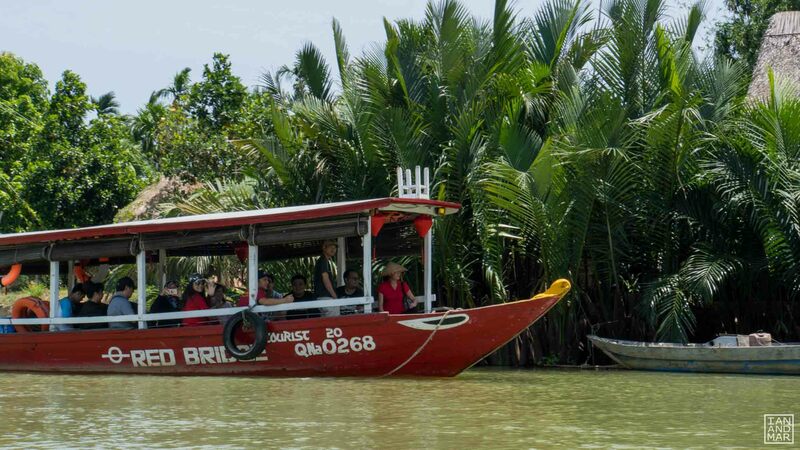 The Hoi An Kayak Tours office is half an hour away by taxi. The idea is, we’ll kayak through the waterway and back to the Ancient Town. And that’s exactly what we did — but we didn’t reach Ancient Town. Why? Because not even reaching half of the route we were so exhausted already! Under the sun, after 3 hours, drained, our only goal left wasn’t to reach Ancient Town — it is to have perfect photos while at it. As long as it looks good, nothing else matters right? *insert sneaky laugh* Well, must say we reached our goal! We even managed to fly our drone and take fantastic footages! We have no idea why the drone couldn’t fly horizontally, it can just go either up or down. He kayaked all the way to where the drone was casually flying mid-air. When Dan was already right under the drone, we lowered it down for him to catch. MY GOD! Can you imagine what could have happened if we sliced Dan’s fingers off? One more good thing is that at least the drone was hovering only on water, if it stayed on top of the trees, we surely would have to say goodbye to it ‘cos the kayak couldn’t drive through. BIG RELIEF! 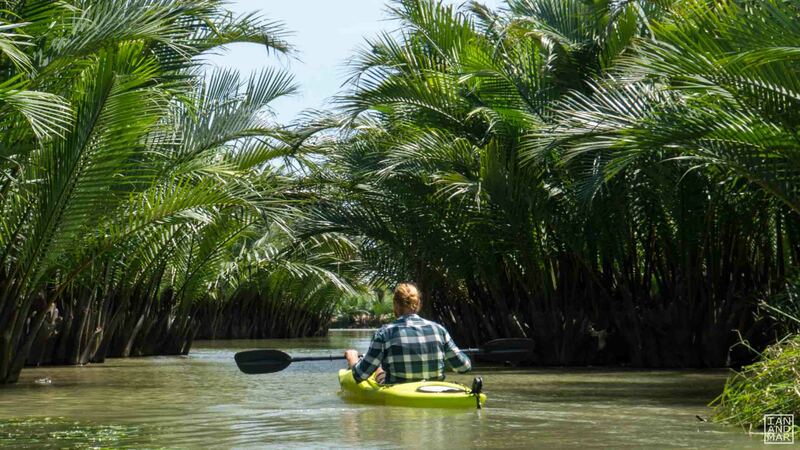 Back into kayak talk, it was one of our most memorable experiences in Hoi An. » and met fishermen who lived on water along the way. Wanted to have ended our trip in Hoi An Ancient Town but we were sooo tired. 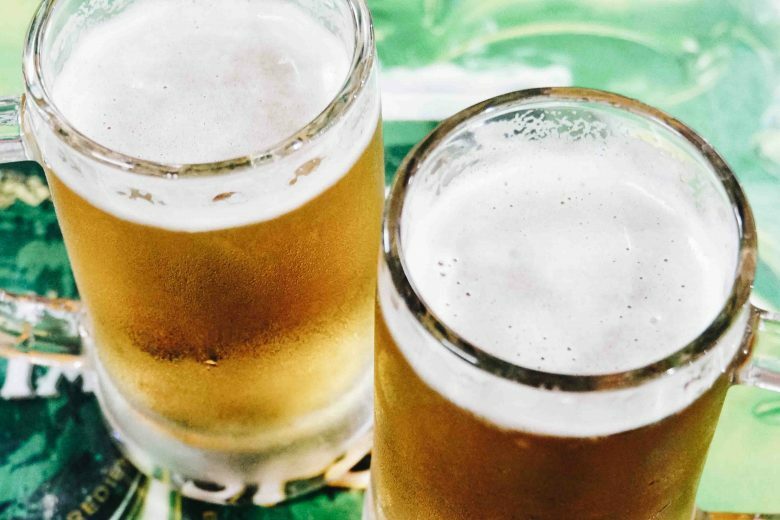 It was overall an epic adventure you definitely need to try when in Hoi An. By now you must have seen our Kayaking Hoi An video. Let us know what you think of it by commenting below! We love hearing from you because it helps us improve our content. Will be waiting! 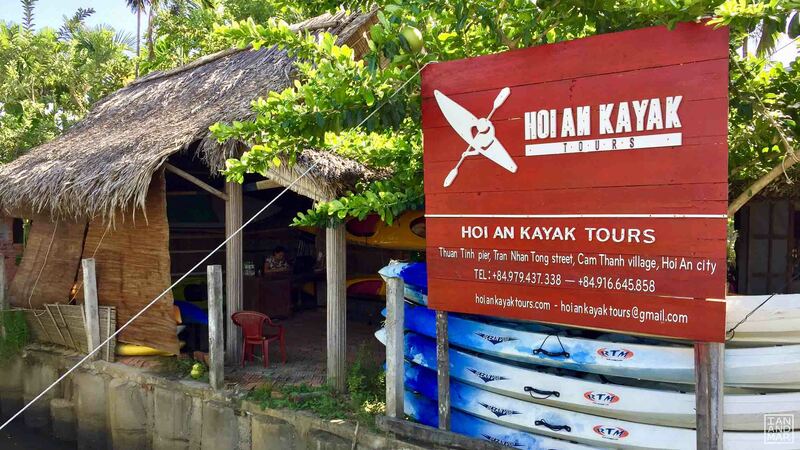 In the meantime, check out Hoi An Kayak Tours’ website and Facebook page for more info. 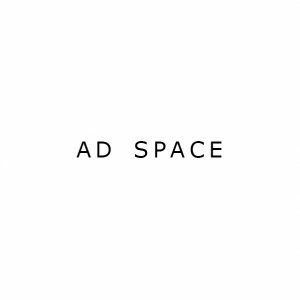 Oh, here’s a video we made for your viewing pleasure. Will you try kayaking when in town? 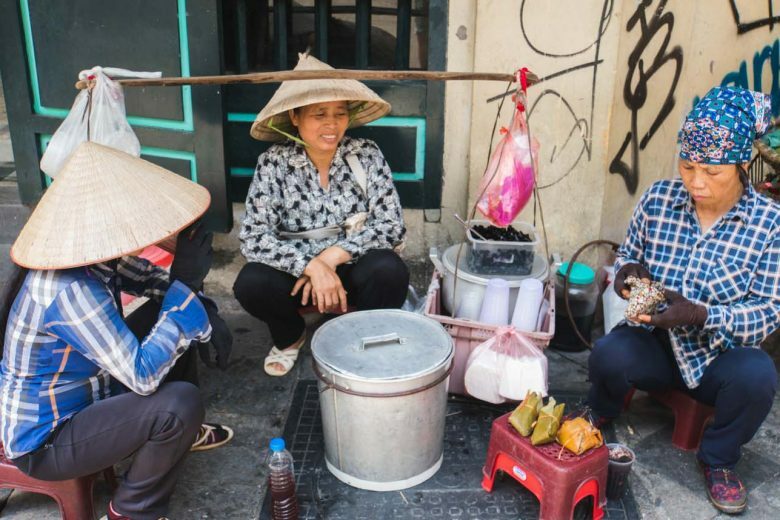 It’s a different experience in Vietnam and can only be done in Hoi An. Highly recommended! This looked like so much fun! I love kayaking in different places, it’s always a great way to see the scenery from a different perspective. The drone footage looks really nice! That’s so cool! 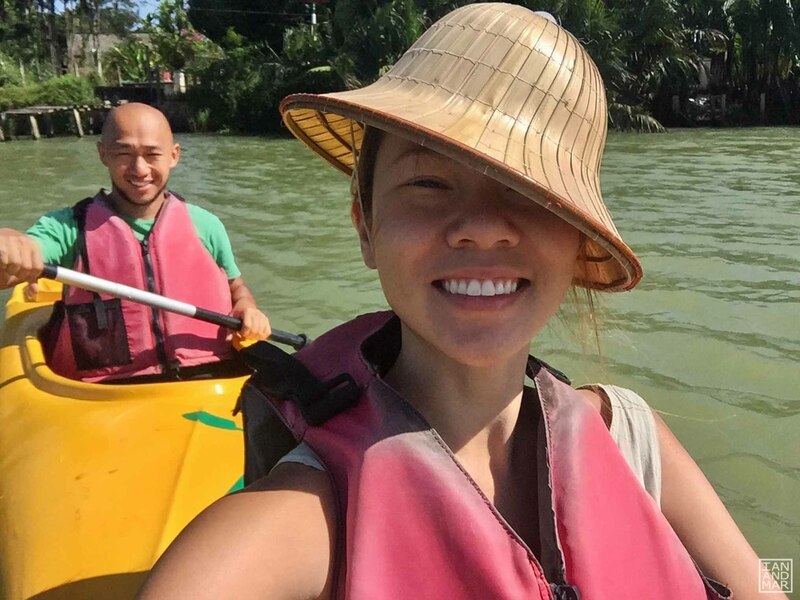 I only took a mini boat tour in Hoi An, but never considered just kayaking ourselves. Such a great idea! Gonna try to do that the next time I go back! We actually passed by a few mini boats while kayaking. You get the same view but the experience is totally not the same. This seems like a fun adventure–and I am glad you got your drone back! What a cool experience! you two seem so fun! Oh, we were sunburnt like crazy cos we didn’t prepare at all! 😀 Didn’t put a drop of sunblock. woops! Never knew you could kayak the city but it makes sense with all the canals. The video makes it so much more interesting, it’s like we’re right there with you. So cool! Thank you Annemarie! We also didn’t know until we checked up on it. A super cool experience! I really want to try kayaking some time. The only trouble is I’m not a swimmer. Do you think that might be a problem? Kayaking in Hoi An seems fun. 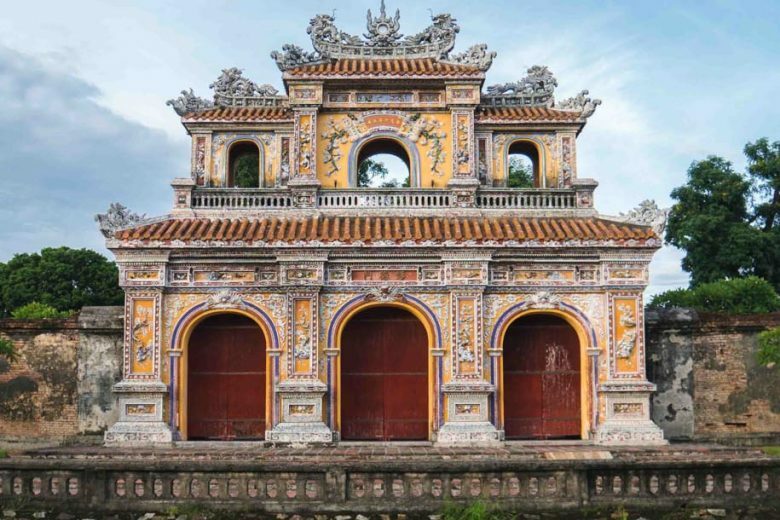 Hoi An is already on my list of places to visit in Vietnam as this tasteful and colourful ancient town has been recommended by one of my friends. 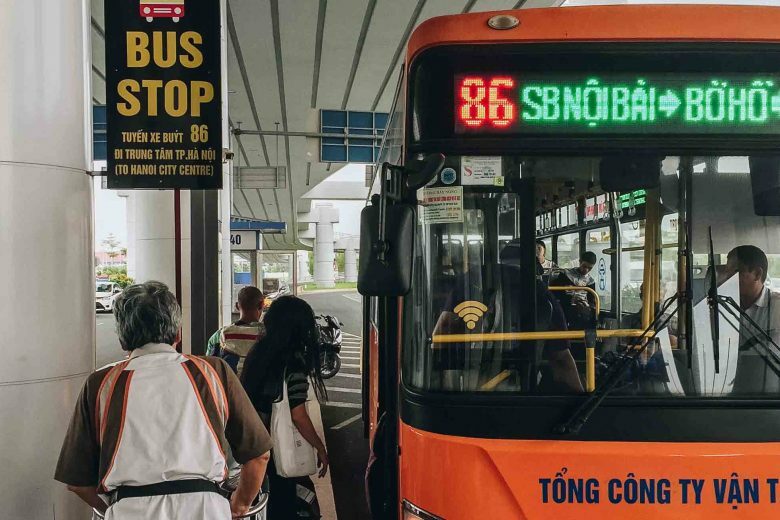 We actually have never heard of Hoi An becoming our 3-week Vietnam backpacking trip. Probably because it’s always either Hanoi or Saigon. What we were missing is the most beautiful town of Hoi An, right smack in the middle of those 2 more known cities. Our definite fave!! That’s probably the number one reason! LOOOL A mistake will immediately cost you 1000 USD. yikes!